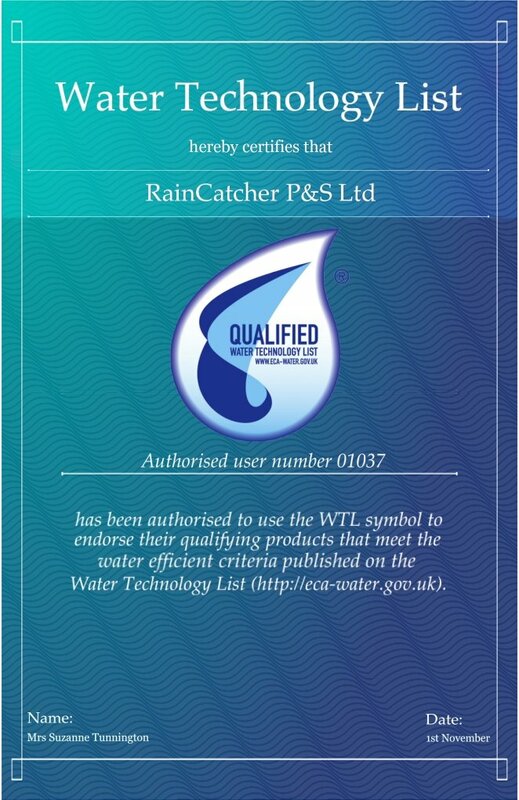 Rainwater harvesting products like ours that encourage sustainable water use were officially added to the Water Technology List (WTL) in recent years. The list, created and maintained by the government, contains products which if purchased could save you money on both your water and tax bills. If your business pays corporation tax or income tax in the UK then you are eligible for tax relief – RainCatcher products are accredited under the Enhanced Capital Allowance (ECA) scheme meaning you could claim tax back on both the capital and installation costs, offsetting up to 100% of it against your profits! Further details for claiming capital allowance in this manner can be found here. This of course gives your company more incentive than ever to invest in rainwater harvesting as in addition to the year-round benefits, environmental impact and reduction in the cost of water, your tax bills can be reduced too. Furthermore you have peace of mind RainCatcher’s innovative products – such as our water storage tanks, filters and components – meet all quality and performance requirements. Since they’re all are found on the government list, strict routine testing is regularly carried out on all of the promoted products.